Desh Bhagat University, among leading universities in punjab (2nd Rank - NIRF Ranking, MHRD, Govt. of India) celebrated its 5th foundation Day with great zeal and fervour. A special function was organized to mark the day. 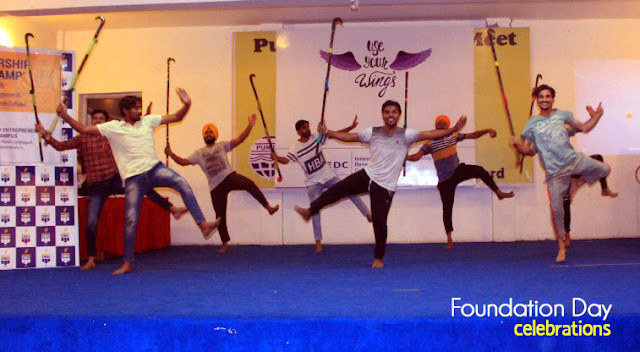 The events were started with the garlanding to the statue of Sr. Lal Singh Ji, a famous freedom fighter and a close associate of Neta Ji Subhash Chander Bose, in whose sacred memory Desh Bhagat United and Desh Bhagat University have been established. While giving more details, Chancellor Dr. Zora Singh briefed that the university celebrated the day by arranging an awareness drive as well as a Blood Donation Camp. 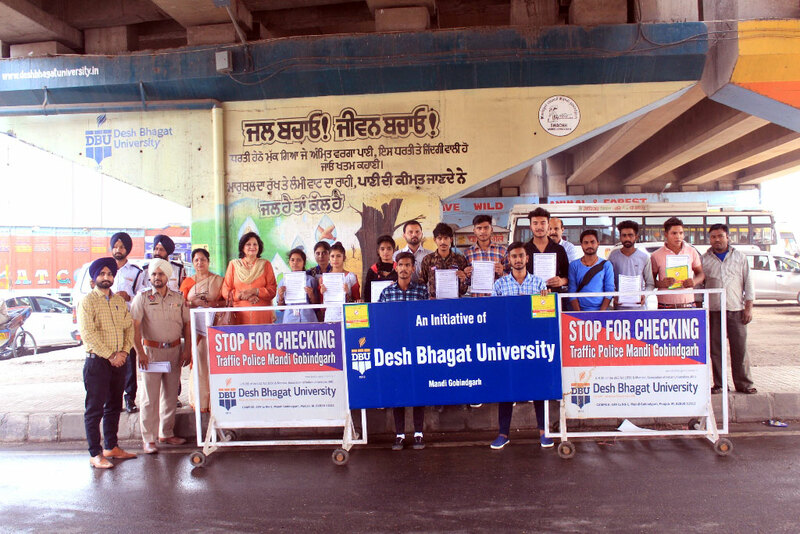 During the traffic awareness drive the university students went to Desh Bhagat Chowk, Mandi Gobindgarh along with Pro Chancellor Dr. Tajinder Kaur and made the people aware to obey traffic rules. They also distributed printed literature and pamphlets regarding traffic rules and responsibilities to the people. 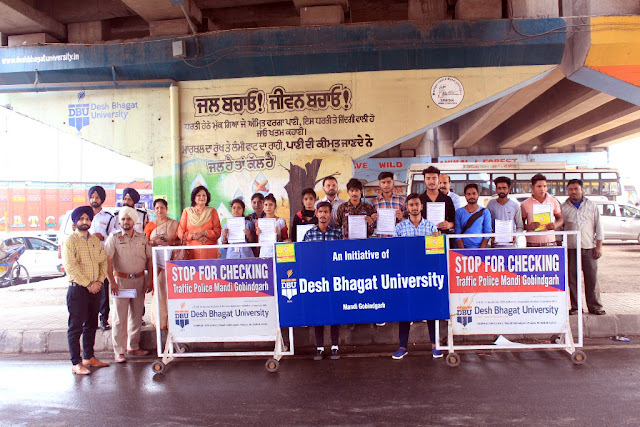 District Traffic In-charge Hemant Kumar and traffic In-charge Jagdeep Singh appreciated the initiative of the university and thanked the students for their concern to make the people aware. Davinder Singh of Traffic Police gave a lecture on traffic rules on this occasion. 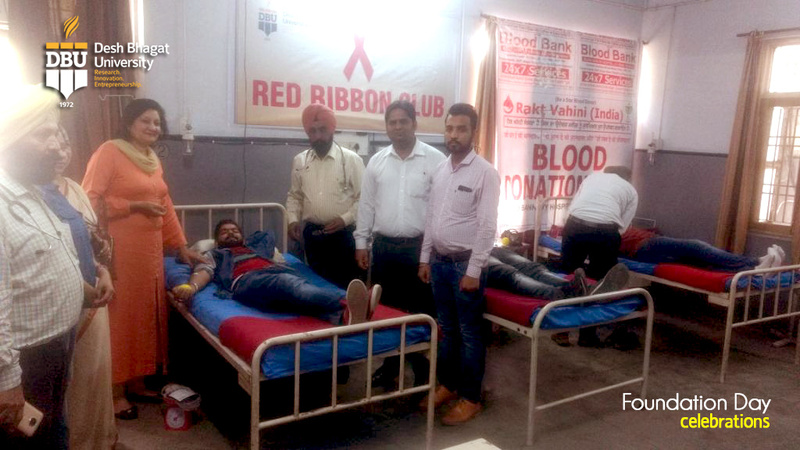 In another move, a blood donation camp was arranged by NSS Department in collaboration with Red Ribbon Club of the university at Faculty of Ayurveda and Research, PG school of ayurveda. Pro Chancellor Dr. Tajinder Kaur inaugurated the camp and encouraged the students to contribute in this noble cause from time to time. Director Dr. Kulbhushan said that students and staff members of different faculties donated 35 Units of Blood. Vice Chancellor Dr. Virinder Singh greeted all Desh Bhagat Family and told that Desh Bhagat University, among leading universities in punjab is providing higher education in the streams of Media, Dental, Law, Engineering, Agriculture, Hotel Management, Nursing, Ayurveda, Education, Commerce, Management, Computer Sciences etc. Provost Dr. Neelima Jerath expressed the confidence that very soon the university will have its place among the top most universities of the country. 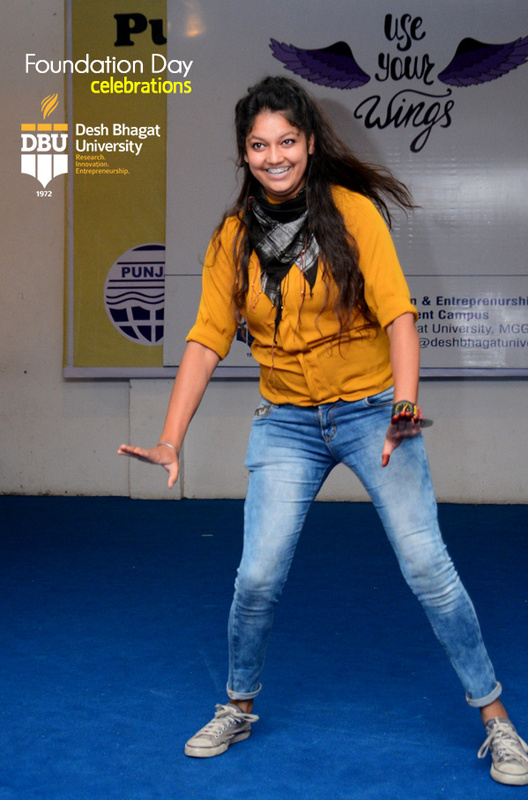 Director Dr. Surjeet Patheja informed that the occasion was also marked by a colourful cultural programme. 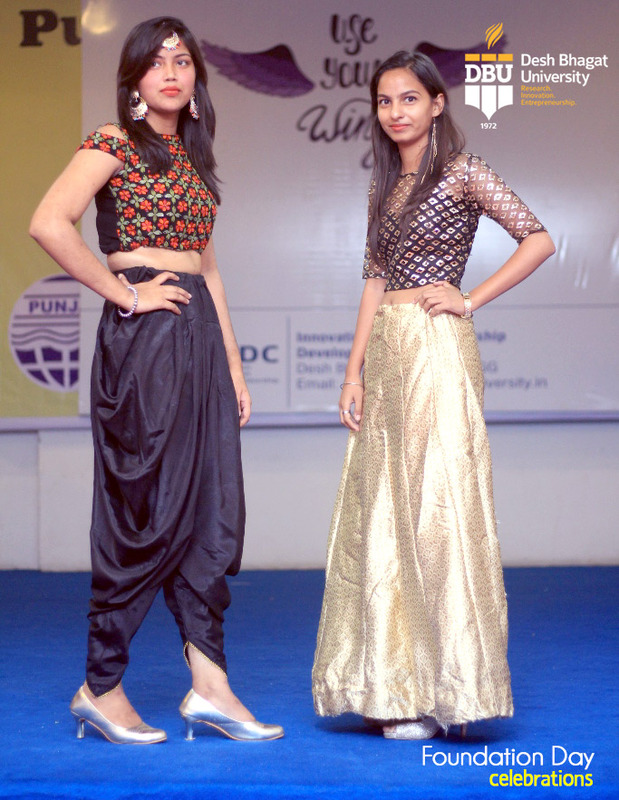 Students of different states representing their respective cultures looked like mini-India. Star attraction of the function was the presentation of the Folk Dances of different states by the students, which enthralled the audience.